If you are getting ready for an awning installation in New York City, it is important to choose the right colors for your awning materials and logo design. In this video, you will learn some essential information about colors that you should avoid when you are creating an awning design for your business. 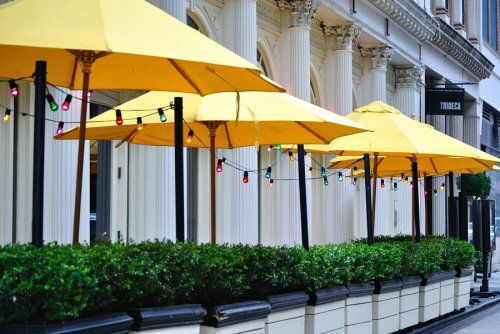 Bright, neon colors, such as yellow and green, should never be combined on your awning. Other bold color combos, like green and red, should also be avoided. To create beautiful commercial awnings for the exterior of your business, be sure to get in touch with a reputable awning company in your area. Your installation team can work with you to help you create a custom awning design, and you are sure to be pleased with the final look and effect of your awning color combinations. Movie and film productions are a major part of NYC’s commercial industry. When you are getting ready to create a film set for a shoot in New York City, be sure to get in touch with Capitol Awning Company . Our awning company creates gorgeous canvas awnings in New York City, and we have extensive experience working with film set design crews and production teams. As members of the Set Decorator Society of America, we are fully qualified to assist you with your theater or movie set. Our awning company can provide you with a variety of services that will be very valuable as you are creating your set design. If you are shooting a period piece in the New York area, we can create custom awnings that match your desired time period. Along with our period-appropriate awnings, we also create three-dimensional pieces out of canvas. We will work closely with you to help you create the perfect set pieces that will set the stage for your production. Reduced energy consumption is a top priority for many commercial businesses. When you are seeking smart and simple ways to save energy on a daily basis, you may want to consider installing commercial awnings around the outside of your building. 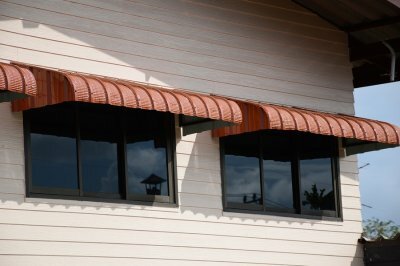 Awnings can help you save energy by reducing the amount that you spend on heating and cooling your building. A company that offers awning installation in New York City will be able to help you create an energy-smart awning design. Read on for an overview of commercial awnings and how they affect energy use. Throughout the hottest months of the year, your building can be affected by solar radiation. When solar rays hit your windows, they will penetrate into your indoor spaces and cause the temperature of your building to rise at a rapid rate. With a commercial awning installation, you can cut down on solar radiation significantly. Your new awnings will keep your building cool, which will reduce the energy costs of running an air conditioner. Solar heat gain is another factor that can have a dramatic impact on the overall energy use of your building. When your windows are exposed to high amounts of solar heat, they will start to spread this heat into your interior areas. New canvas awnings will be able to cut back on your building’s heat gain by as much as 65 percent, which will lead to terrific energy savings over the months and years. If you have chosen to reduce heat gain through the use of window tint, but have found that your installation has not been effective in reducing your energy bills, you may want to incorporate an awning design into your plans. Awnings are much more effective than solar films in the prevention of solar heat gain. When you combine an awning with solar tinted glass, you will achieve the ultimate in UV protection for your building. Awnings are designed to protect your building from excess heat and intense sunlight during the summer season. When you are planning on installing new commercial awnings in New York City, it is important to select an awning material that offers both durability and style. Today’s canvas awnings can be constructed from a variety of high-tech materials that offer the ultimate in sun protection, fade resistance, and overall durability. 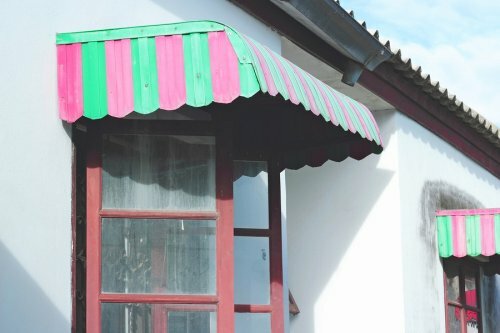 To help you purchase the best awnings for your needs, here are some tips to keep in mind when you are selecting an awning material. One of the primary functions of an awning is to provide shade to your windows and exterior spaces. As you are selecting a canvas awning material, you will want to make sure that you pick out a product that has a high shade factors. Advanced awning materials, such as AwnTex, offer terrific shade factors of 88 percent or higher. By picking out a fabric that blocks out 88 percent of the sun’s rays, you can achieve the best possible shading for your business. When you invest in new awnings for your building, the last thing that you will want to do is have to replace them within a few years time. Fortunately, with a smart fabric selection, you can make sure that your awning is ready to withstand wind, rain, snow, and other extreme weather conditions. Another terrific benefit of a weather resistant awning material is that it will typically be protected from mold and mildew. Along with providing your building with shade and protection, your awning should also offer terrific style. 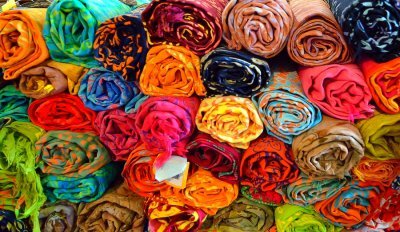 Your perfect awning fabric will come in a wide array of hues and patterns, so you can create a look that matches with your exterior design scheme. Materials like the Patio 500 fabric line are also designed to easily accept silk screen printing and other design applications. When you are browsing through customized awning designs for your upcoming awning installation, it is important to make sure that you choose the right fabric for your awning project . Weathertyte fabric is an ideal selection for many different types of awning installations. With its exceptional beauty and incredible durability, Weathertyte will dramatically enhance your awning installation near New York City. There are a few unique features that make Weathertyte a cut above other types of awing materials. When you choose Weathertyte for your awning, you will have the option of choosing between dozens of vibrant and artistic colors and patterns. Along with being very eye catching and beautiful. Weathertyte has also been engineered to resist mold, mildew, fire, and water damage. Over the years and seasons, you can rest assured that your Weathertyte awning will not show signs of aging or fading. Overall, a Weathertyte awning is a terrific investment for your new commercial awning design. The spring season has arrived, and you may want to start thinking about how to provide your restaurant’s guests with a pleasurable outdoor dining experience. Dining al fresco can be greatly enhanced with a carefully planned awning installation. An awning company that creates customized awning designs in New York City can create a covering that is tailored to the specific dimensions of your outdoor space. After you have installed your awning, you will be ready to provide your diners with a choice of outdoor seating. Read on for a review of the dos and don’ts of designing your outdoor seating area. Shade is a critical element for any outdoor seating area. If you fail to provide your guests with shade as they dine outdoors at your restaurant, you may leave them exposed to the hot sun. You will typically find that your outdoor diners prefer to sit underneath an awning or other shading element when they dine outdoors at your establishment. 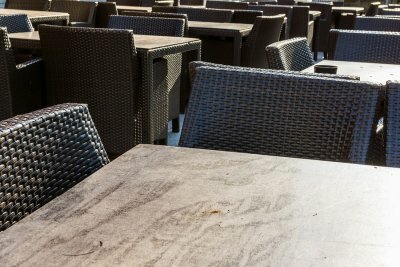 One mistake to avoid when you are designing outdoor seating for your restaurant is to place your tables and chairs too tightly together on your patio or outdoor dining space. If your guests feel like they are cramped together, they will have a harder time relaxing and enjoying their meal. Providing plenty of space between each table will also allow your wait staff to easily take orders and serve dishes from the kitchen. Along with installing an awning for shade and weather protection, you will also want to incorporate other decorative and functional elements into your outdoor dining space. If your guests will be seated outdoors after dark, you will want to provide them with gorgeous lighting that creates an intimate and warm ambiance. You can also choose to decorate your outdoor dining area with gorgeous plants that provide both natural beauty and privacy from the nearby street or sidewalk. If you have been browsing the different types of awnings that are available for your commercial business, you may want to take a look at retractable awnings from the Gennius brand. Gennius has designed their awnings to provide superior sun and rain protection, without sacrificing style. An awning company in New York City will be able to provide you with detailed specifics about the advantages of the Gennius awning line. Here is an overview of the terrific benefits that the Gennius Waterproof Retractable Roof System has to offer for your building. One of the highlights of the Gennius Waterproof Retractable Roof System is that this type of awning has been specifically engineered to provide your building with superior protection from the elements. When you install a new Gennius awning, you can expect your installation to be highly resistant to damage from sun exposure, high winds, or heavy rains. In fact, the Gennius Waterproof Retractable Roof System has been engineered for year round performance. During the fall and spring seasons, unpredictable weather may send your guests indoors before the outdoor entertaining and dining season is really over. If you want to get the longest use from your outdoor areas each season, you might want to install the Gennius Waterproof Retractable Roof System. With this system, your employees and guests will be completely protected during inclement weather and other unpredictable weather events throughout the year. Another terrific benefit of the Gennius Waterproof Retractable Roof System is that this type of awning can be easily retracted on demand. When you find that an awning is not necessary for a certain type of weather or special event, you can simply retract your awning with the flip of a switch. By providing you with fully retractable functionality, the Gennius Waterproof Retractable Roof System can be completely tailored to meet your exact needs. If you want an awning, but are seeking full control over its performance, a product from Gennius may be right for your needs. 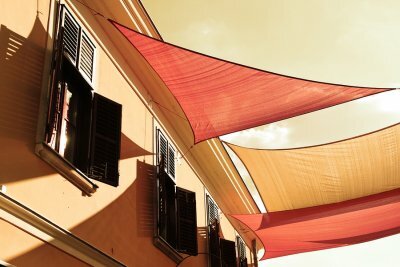 Awnings can be traced back all the way to the Roman era. In this video, you will take a look at how modern awnings are made and controlled. 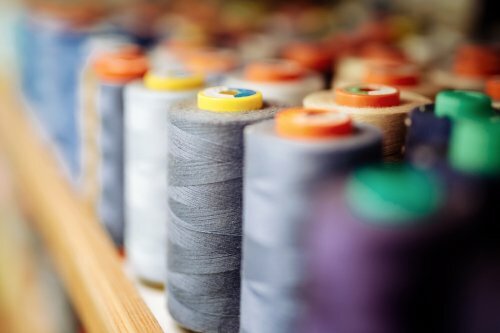 When a canvas awning is made, a skilled seamstress will sew durable strips of awning fabric together in a pattern. Next, the canvas is connected to a durable framework. A company that offers awning installation in New York City can assist you with every step of designing and fabricating your new awnings. If you have been dreaming of a new awning design for your business, now is the time to schedule your installation. With a brand new awning, you can provide your commercial space with additional shade and sun protection during the upcoming summer season. When you are looking for an experienced awning company in New York City, you know to contact Capitol Awning Company . This awning company has delivered exceptional products to hundreds of clients for more than 60 years. To learn more about the services and high-quality products offered by Capitol Awning Company, continue reading below. Over its long career, Capitol Awning Company has provided countless companies with commercial awnings and customized projects. Capitol Awning Company prefers to work on every product in-house, because this guarantees a quality project and the use of high-quality materials. Capitol Awning Company employs skilled and knowledgeable awning manufacturers and graphic designers to create awnings, shade screens, and business canopies. By working with the finest craftsmen in New York, Capitol Awning Company can guarantee that customers will receive exceptional customer service and products. To learn more about Capitol Awning Company and the many services and products it offers, visit the company website right away. Customized awning designs and specialty printed products are great ways to bring in new customers and get your business noticed. If you install a large business canopy outside your New York City restaurant, complete with an original design, then your business will increase its profits and possibly reduce maintenance costs. Let’s take a closer look at how your business will benefit with a specialty printed product. 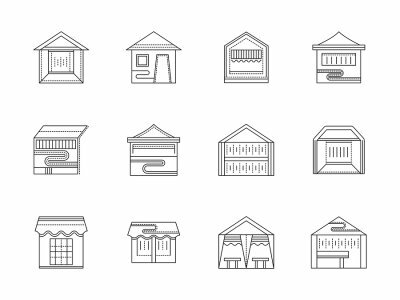 If your business offers a well-known customer favorite, such as a specialty food or drink, then you can request a three-dimensional structure in that shape. If your business offers a specialty product found nowhere else, then a three-dimensional structure would look even more original in that product design. Your business can gain much-needed publicity and attraction with these large, original structures outside of your building. Custom projects are also a fun way for your creative marketing team to develop a campaign for a new product. When you place a specialty product—whether it be a business canopy, customized awning design, or three-dimensional structure—you increase your business’ visibility. You will soon notice more customers coming into your building. They may inquire about your new specialty product, or they may be curious as to what your business provides. Your business will notice a significant increase in customer traffic, and hopefully profits, once you install your specialty product outside your building. Depending on what type of printed product you install, such as a shade screen or customized awning design, you can better protect your business’ products and interiors. Awnings and business canopies offer protection from the sun, which can reduce damage and fading to the interior of your business. Canopies are usually large enough to protect an outside area of your business, such as an exterior dining patio. If you can keep your interior and exterior protected from the sun’s ultraviolet rays, you can prevent premature fading and damage. This protection can save you on future repair or replacement costs.